In 2014, Wyoming set their tourism record with over 10 million travelers visiting the Cowboy State. Although it may not be one of the least populated states in the United States, there are still plenty of motives to justify a visit. After all, numbers don’t lie, and the Equality State had an 11 percent increase in tourism from 2013 to 2014. 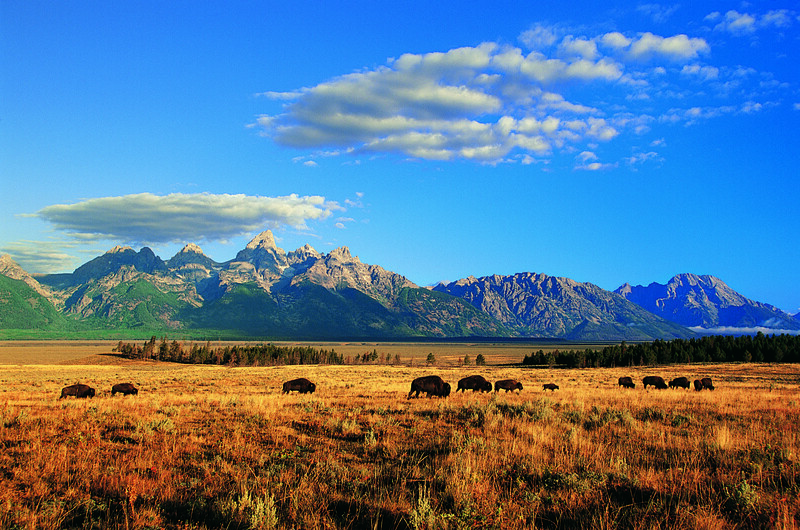 Whether you’re headed to Yellowstone or just want a taste of Wyoming culture or history, here are 5 reasons to visit this amazing state. In a day and age where everyone seems to be going somewhere, it isn’t often you can leave your house without adding a little bit of time to compensate for traffic. Fortunately, Wyoming residents don’t have this problem. If it takes you five minutes to get to your destination, you can plan on leaving five minutes before you need to get there. You haven’t been stargazing until you’ve seen them from Wyoming. Stargazing from the Big Horn Mountains or Yellowstone National Park, Wyoming offers an unprecedented view of the stars due to its minimal (if any) air pollution. If you love history, you have to venture to the Oregon Trail Ruts State Historic Site. These wagon wheel ruts are located along the North Platte River and are considered the best preserved set of Oregon Trail ruts showcased along this legendary path. Visiting Wyoming in the winter has just as many amazing options as other times of the year. Established in 1912 the National Elk Refuge was created to provide, preserve, restore, and manage the winter habitat environment for the Jackson Elk Herd and other endangered species. During the winter months, you can view an estimated 11,000 elk, as well as go on a horse drawn sleigh ride. It isn’t called the Cowboy State for nothing. The Old West feeling was brought to the state, and it never left. From cowboy hats to plaid shirts, this respectful and welcoming culture offers a distinctly different vibe than any other state in the country.